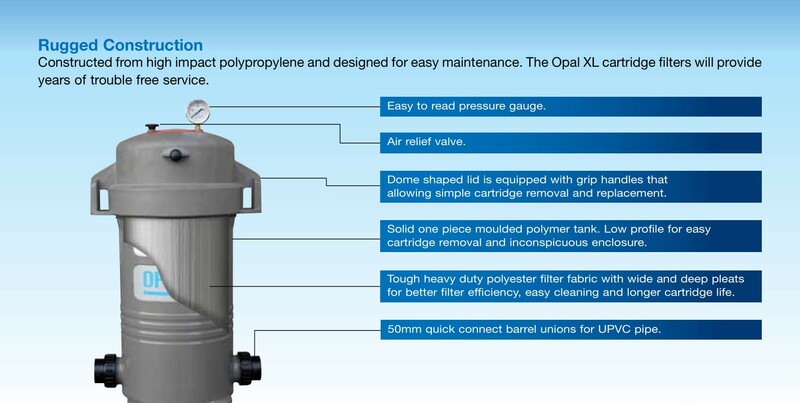 Opal XL cartridge filters are designed to house an extra large filter cartridge, maximising its dirt holding capacity and minimising filter maintenance. The filter's dome lid allows easy access to the filter cartridge for removal, cleaning and installation in a matter of minutes. 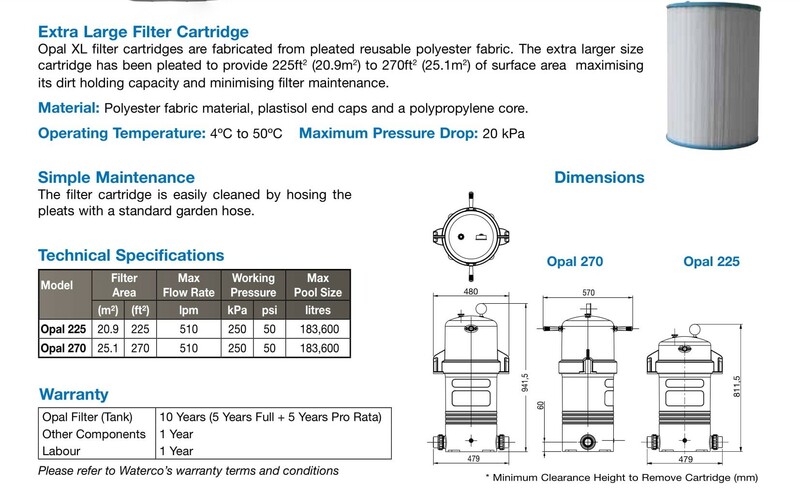 Cartridge Opal XL filter cartridges are fabricated from pleated reusable polyester fabric. The extra larger size cartridge has been pleated to provide 225ft (20.9m2) to 270ft2 (25.1m2) of surface area maximising its dirt holding capacity and minimising filter maintenance. The filter cartridge is easily cleaned by hosing the pleats with a standard garden hose. Material: Polyester fabric material, plastisol end caps and a polypropylene core.